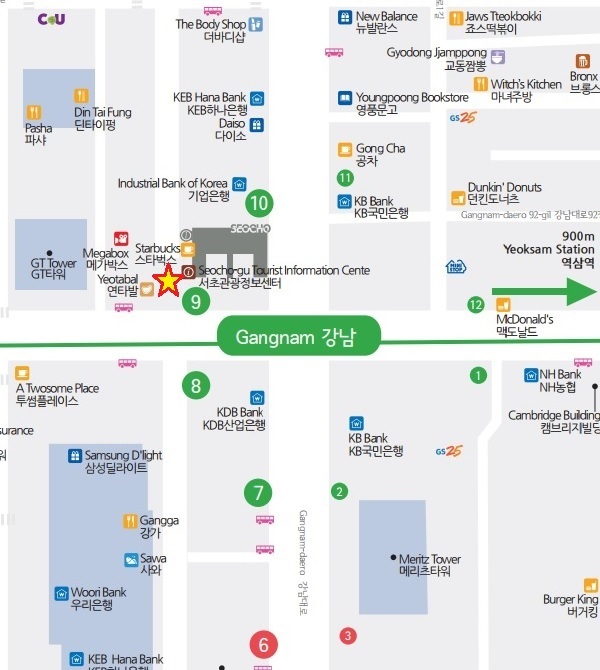 We opened the Seocho Animal Love Center, a space for organic animals. I went there quickly. It is a sad reality that as the population of pets increases, the number of abandoned animals is also increasing. The building is new and grand and neat. There’s a place where you can wait and chat. Assortment of beverages and cafe selling coffee. They also sell dog products like this. From feed and snacks to dog clothing transfer, everything you need to raise a puppy. It’s a gallery of pictures of dogs like an exhibition. The fun to watch is great. 쟈 이제 2층에 계단을 통해 한번 올라가 봅니다. Isn’t the lighting so pretty? On the second floor, there’s a tour waiting for you. Isn’t this bear so cute? I can’t forget the way he looked at me. There are also many multi-purpose rooms. I hope you visit when you have time. Go straight to Exit 1 of Yangjae Citizen’s Forest and it is located on the left.